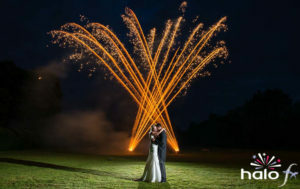 Welcome to Halo FX – a professional fireworks, pyrotechnics and special effects production company. 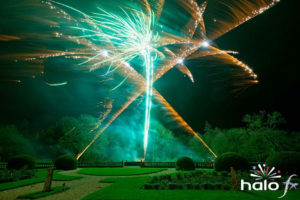 Halo FX supplies firework displays, indoor fireworks, stage pyro, and special FX including confetti effects, streamers, CO2 jets and other cryo effects, smoke and dry ice fog effects, bubbles, and contemporary LED illuminated and pyrotechnic table centres. 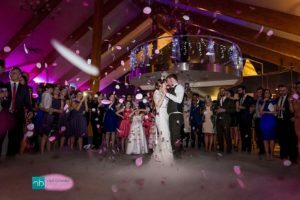 We pride ourselves on our creativity, technical excellence, safety management and customer focus making our displays and special effects breathe taking yet competitively priced and above all safe. 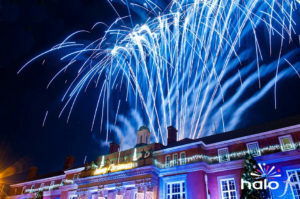 Halo FX deliver wow effects and explosive thrills to local and national events, corporate events, music concerts and festivals, theatre and musicals production, weddings and private parties, across the UK. 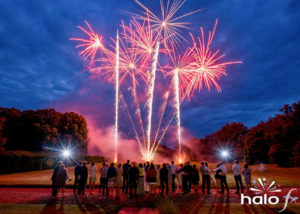 To enhance our fireworks displays and special effects services, Halo FX also provide sound PA’s, theatrical lighting, rigging and staging, and sparkling dance floors. 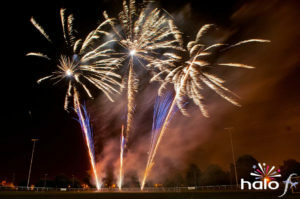 Halo FX is based Rugby, Warwickshire, in the heart of the Midlands. 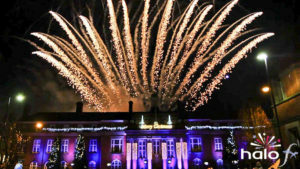 Choreographed fireworks, stage pyrotechnics, snowflake confetti and theatrical lighting displays for Christmas lights switch-on events. 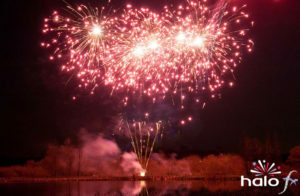 Halo FX head office and warehouse is located just outside Coventry in the centre of the golden logistics triangle of the M1, M6 and M42, allowing us to easily service events in Birmingham, Solihull, and Bromsgrove including the NIA and the NEC, London, Manchester and Leeds, the east Midlands area of Leicestershire, Derbyshire, Northamptonshire, Nottinghamshire, Rutland and Lincolnshire, the west Midlands area of Warwickshire, Shropshire, Worcestershire, Herefordshire, Staffordshire, and the south west via the M5.